The light that illuminated the vacant school playground—the same playground that a mere few hours ago was filled with hyper children dressed in costume—has now gone away. The sun has drifted off beyond the mountains leaving in its absence an eerie glow of darkness. Cups, streamers, decorations and candy wrappers litter the empty school; remnants on the ground of a parade that took place earlier in the day. Night has fallen upon the neighborhood. No sounds can be heard for miles away. Not a soul is stirring, for the sun has just disappeared. Children are still getting ready. Still eating dinner. Holding in their excitement and anticipation of what is yet to come. It is not a complete and total darkness, for sporadically, lanterns and pumpkins with faces light up sidewalks and pathways into people’s driveways. The jack o’ lanterns are signals. Beacons inviting the youth and their gracious parents to come up and ring the door bell or knock on the door for some candy. Flashing strobes and creepy sounds begin to stir and rise up from homes. A rolling fog erupts from certain houses, creating a spooky mist amidst the sidewalks and pathways. An invisible curtain is lifted as if to say, “the show has started.” Doors begin to open and you can feel the excitement erupt from tiny creatures and characters, as they leave their homes and embark on their Halloween adventures, bags, buckets and baskets in hand. One house on the block, however, has yet to open its door. As ghouls, goblins, vampires, wizards and mermaids fill the sidewalks with a kick in their step, this house remains silent for some reason. Deep inside, a mother warns her children of the outcome of not finishing their dinner. The kids hear their mother. They hear her loud and clear. But try as they might, the peas and carrots still linger on their plates even after they open their eyes. Feeling defeated and completely excited they gobble down their vegetables, as fast as they can forgetting about their terrible flavor, and make a run for the door. It opens with a loud bang and out comes a witch, a pumpkin and a pirate, mother in tow. The family of four make their way down the path leading to their fence. It creaks as they push past it, one at a time, in line. They travel down the friendly neighborhood, avoiding the haunted houses and screaming kids. Instead they knock on quiet homes with not-so-scary decorations and friendly faces. “Trick-or-treats,” are said as candy is dropped into treat bags along with the rest of the evening’s treasures. House after house they continue on, but the night begins to grow weary. The pumpkin is limp, the witch is cranky and the pirate is sleeping on his mother’s shoulder as she carries him back home, his fist still tightly clenching his goodie bag. Back home the children forget about their sleepiness. Their tired faces are long gone and are jovial once more. The dining table is cleared to make room for all the goodies. On the count of three they all empty out their buckets. Candy flies out onto the table in their own little corner—forming a mound in front of them—making sure that none of their pieces have gone astray into one of their siblings’ piles. Suddenly they hear their mom call out. They argue and complain but to no avail. No one is allowed to touch a single piece of candy until it has gone through inspection. “Check mine first. Check mine first. No mine!” The witch, pumpkin, and pirate all yell out at once. She decides to do the reasonable thing and goes in order from oldest to youngest. The witch goes first. The mother immediately throws away anything “homemade” and self-wrapped, picking through each of the kids’ loot. When the candy has passed the inspection, they are allowed one candy each. Per day. The excitement leaves their faces once again, knowing that she will, no doubt, hide the buckets and only bring them out once a day when they are allowed to pick one candy apiece. Lucky for them, the pumpkin knows where their mother hides the bucket, as she has picked the same hiding spot for the last two years. They each pick a moderately sized candy for the evening knowing that they still haven’t eaten their halloween dessert. Each year it changes. Is it candy apples this year? No. 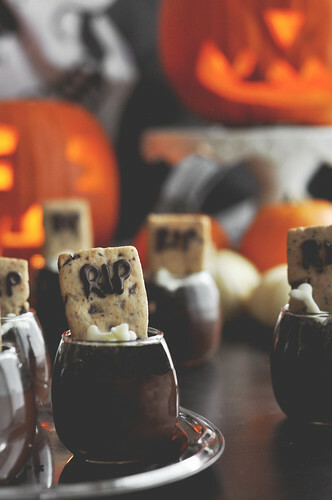 Coffin brownies perhaps? Nope. Ghost cupcakes? Not a chance. It’s something much more decadent and spooky. Something much more fancy. “Graveyard Pots de Crème,” the mother says as she sets the tray on the now cleared table. “Graveyard huh?” the pirate responds. “Oh it’s chocolate pudding,” the pumpkin answers. “It’s custard,” the mother says, thinking of how this fancy dessert is lost on her children. 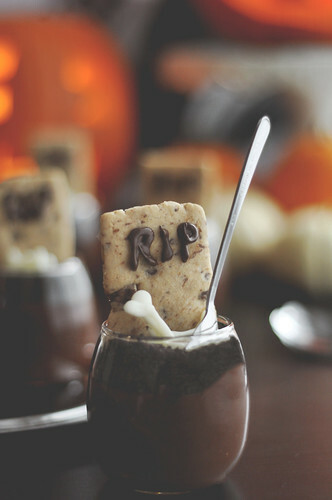 “It looks like pudding to me,” the witch replies as she digs her spoon into the cup and taking a bite of her tombstone cookie. “Just eat it,” orders their mother. Next year she’ll make something easier. Like cookies. From a tube. Now, many of you might be thinking “What in the world is Pot de Crème?” Have no fear, I thought the exact same thing prior to ever trying it. In layman’s terms, it is a custard. This recipe has a few steps to it. Nothing that is too difficult or complicated. It just requires a little bit of planning out and chilling. 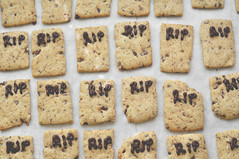 The first thing we are going to do is make the shortbread dough for the tombstone cookies. What kind of dough are we going to make? We’re making shortbread dough. Just about the best doggone cookie ever. 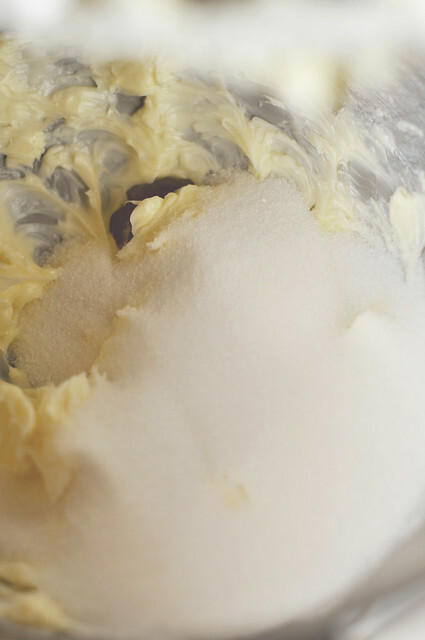 We start by creaming the butter and sugar in a large bowl by hand or with a mixer. You know me, I used the mixer. 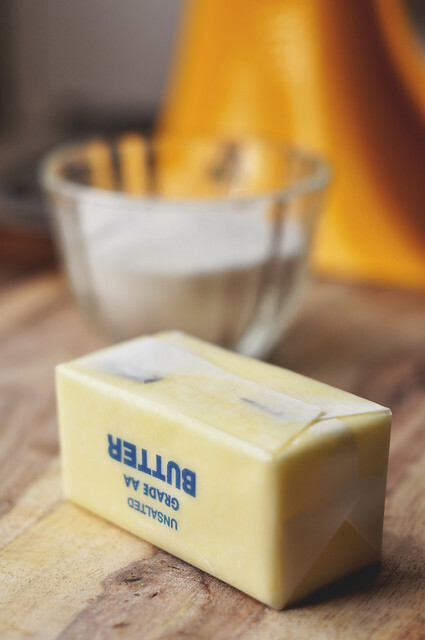 Drop the softened butter into the bowl and beat on high for a minute or two before adding the sugar. 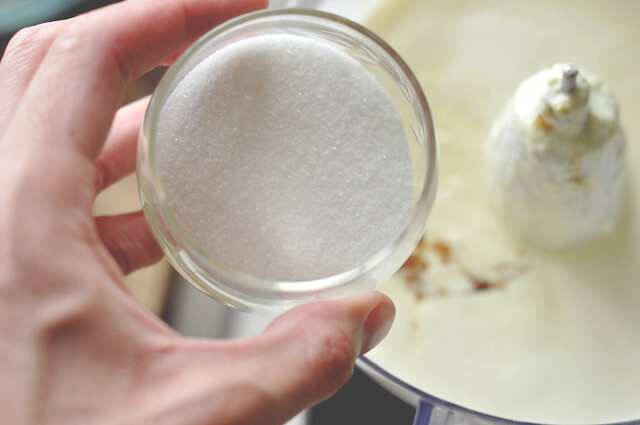 Now throw in the sugar and beat on high until creamy, light, and fluffy. 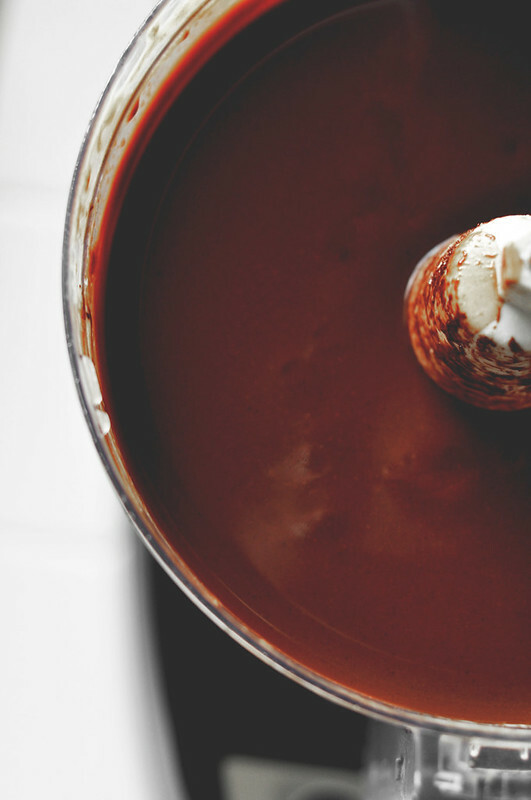 While that is going, let’s work on the chocolate. We want these tombstones to look like cobblestone or gravestone. 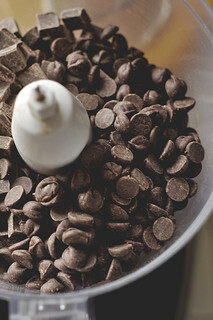 So to give the dough that marble effect we are going to chop a bit of chocolate chips. 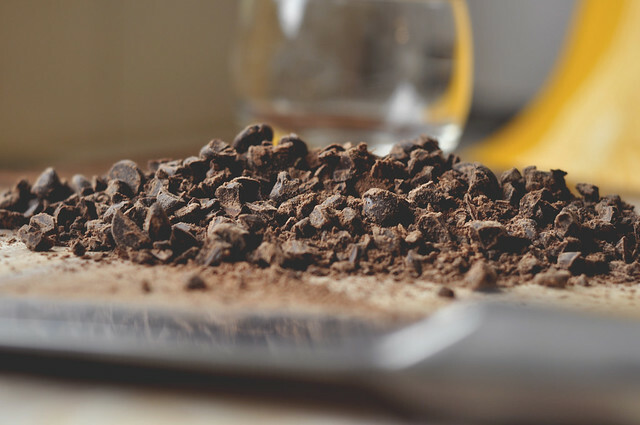 Roughly chop the chocolate until it resembles course crumbs about the size of rice. Clearly, it doesn’t have to be perfect. I have big chunks up there, but it’s okay. 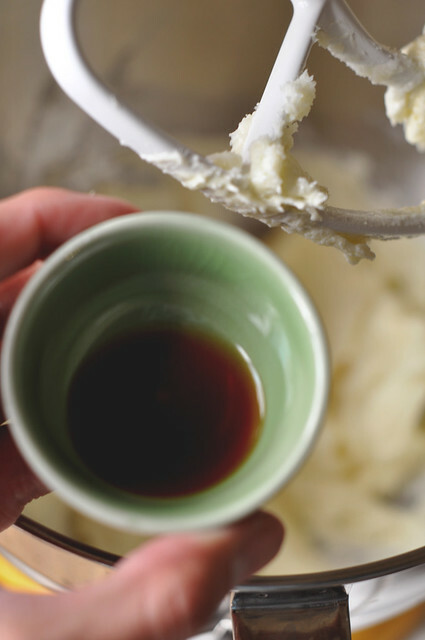 Let’s turn our attention back to the creamed butter and sugar and away from my badly chopped chocolate. Stop to scrape the sides and bottom of the bowl. 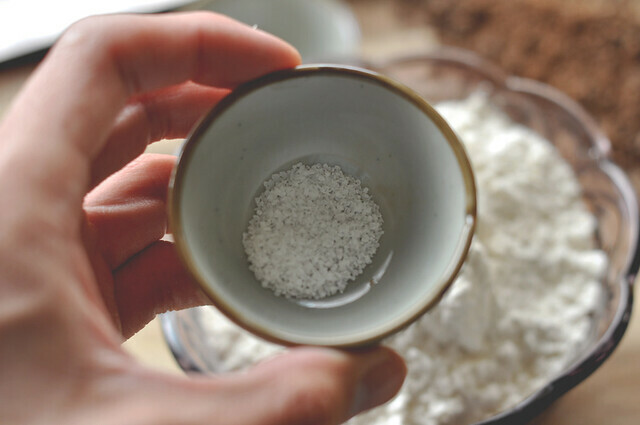 Before adding the dry ingredients, combine them in a small bowl. 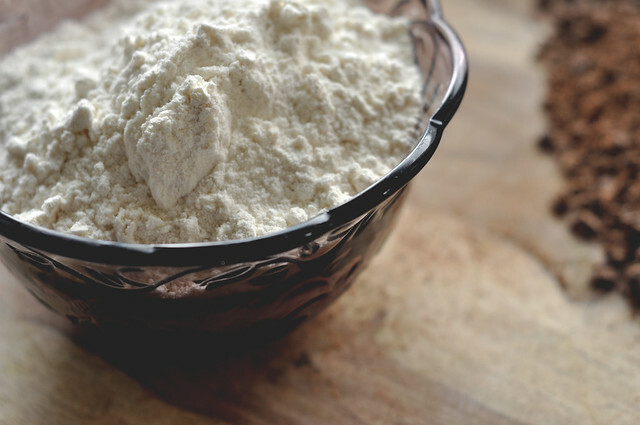 We need flour, of course. 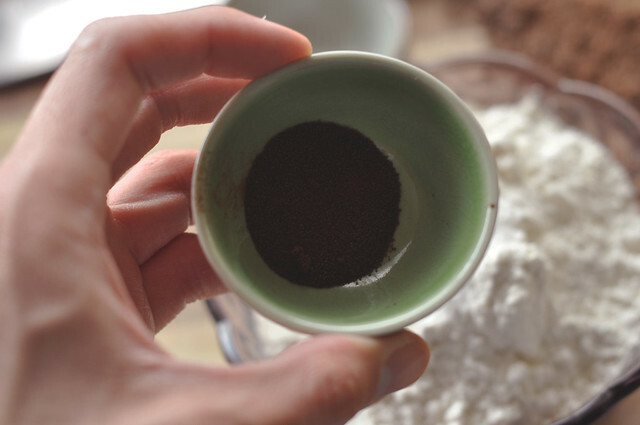 Last but certainly not least, instant espresso powder. (This will also help with the cobblestone effect). That’s it. 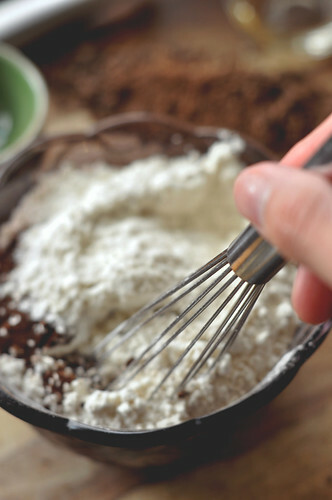 Give the dry ingredients a whisk. You might want a bigger bowl than I used. I started whisking and the ingredients went flying out. Don’t do what I do. Don’t do everything I do. Learn from my laziness. 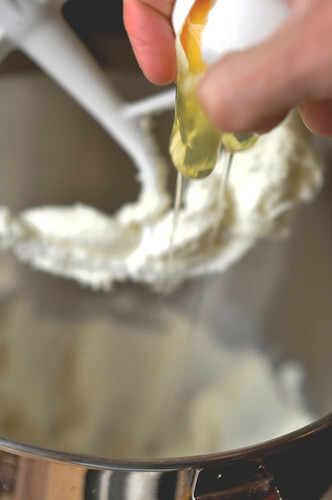 Add the dry ingredients, in batches, and mix, but then stop! I’m just having you stop right now because I want you to add the chopped chocolate. We can’t forget about that. P.S. I forgot about them. 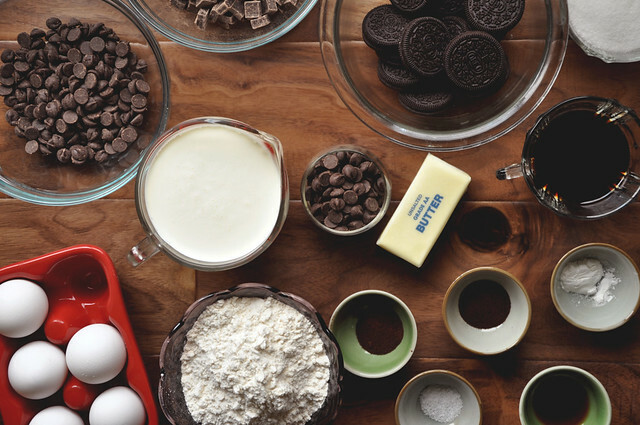 Okay, now you can mix until the dough comes together. And that’s it. Here we have shortbread dough that looks like cobblestone for our tombstones. And if it doesn’t look like cobblestone, just lie to me and pretend it does for my sake. 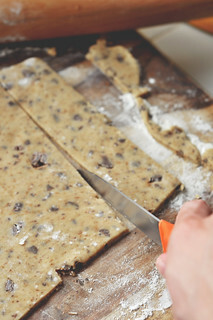 Separate the dough in half and place each half on top of a sheet of plastic wrap. And place in the fridge to chill for at least one hour. 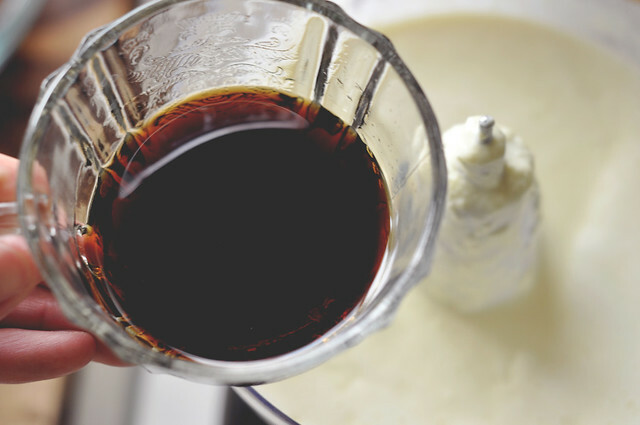 As the dough chills, let’s make the pot de crème. 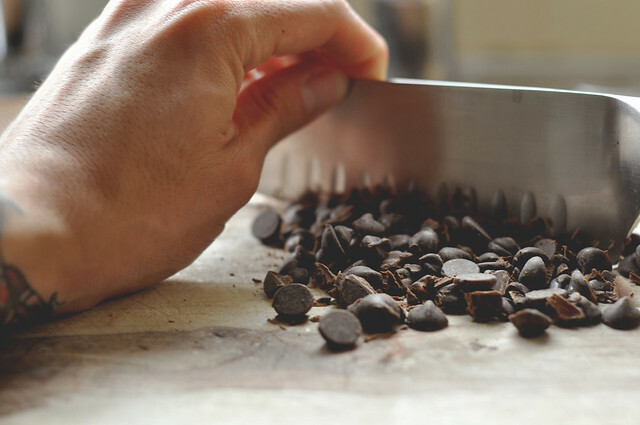 We start by chopping more chocolate. 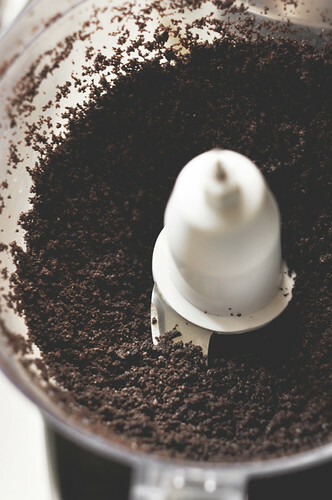 But this time I’m using a food processor because it’s way too much to do it by hand, and you saw that my chocolate chopping skills weren’t up to par. Plus I’m lazy, so there’s that too. 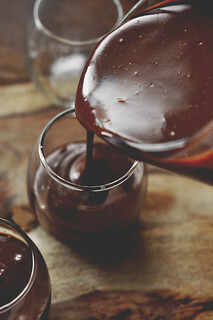 Dump in the dark chocolate. I also threw in a small amount of semi-sweet chocolate, just to balance it out nicely. You don’t have to do this, you can have it all be dark chocolate if you prefer. Pulse a few times until it resembles course crumbs. This will make the melting of the chocolate easier, later on. You can give the bowl a rinse before moving on to the next step. Or you don’t have to. I did, just because. 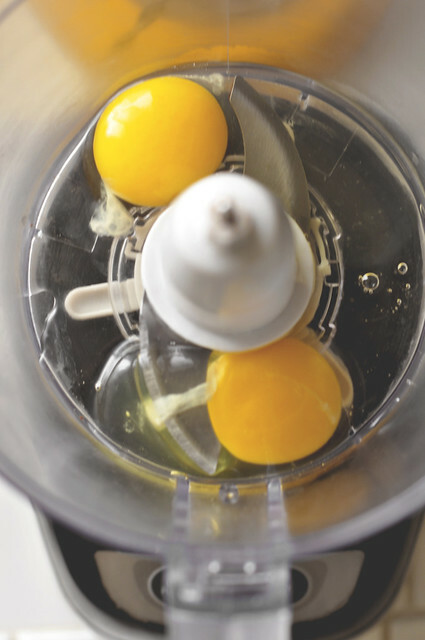 To the food processor bowl, add two eggs. We’re also going to need two yolks. 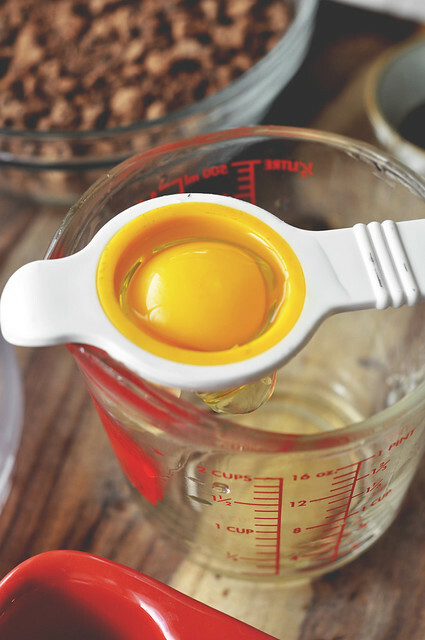 However for the purposes of this site, I bought one of those egg separator things. They work alright, not the best, but they get the job done. I had to purchase this so I could photograph egg separating for you. Since I hold the camera in one hand, it’s hard to do the egg juggling technique and still photograph. Anyhow, I’ve digressed. Going back to the recipe. 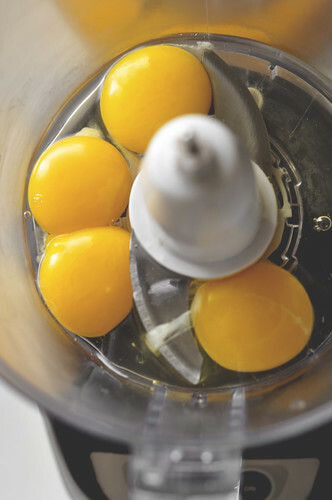 Drop in two yolks into the processor. 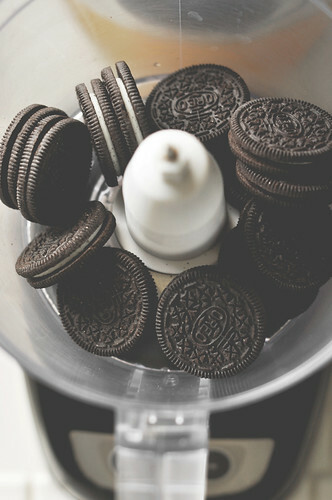 Once blended. Walk away from it. 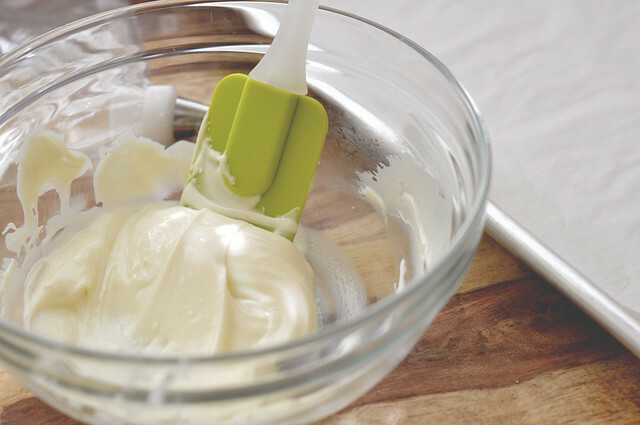 Heat the heavy cream until it comes to a soft boil and when it reaches 160° on a thermometer. 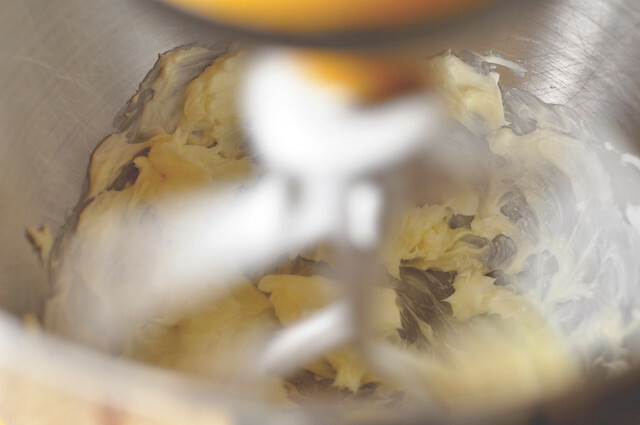 When the cream is hot, slowly—and I do mean slowly—stream it into the eggs while the processor is on. 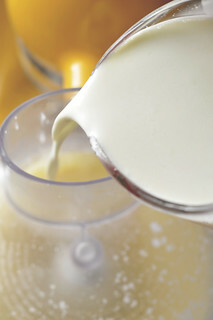 After the eggs and cream have blended, insert the thermometer to make sure it is still 160°. 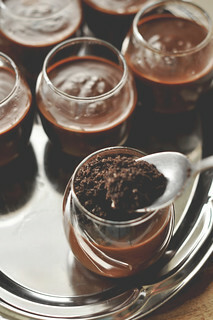 It is very important that it be that temperature so that the chocolate can melt properly. 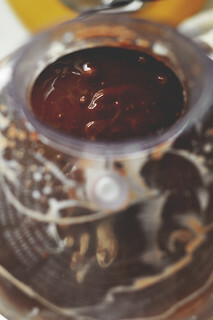 If it isn’t at the proper temperature, transfer the liquid to a sauce pot and over LOW heat bring it up to temperature. 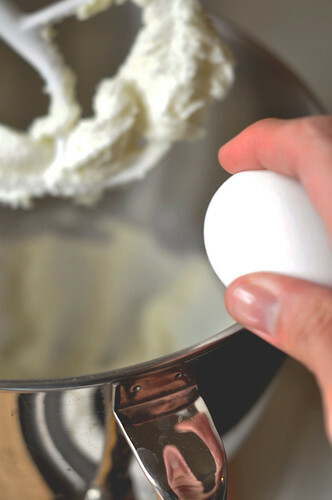 Make sure to whisk it the entire time! Do not walk away from this. Do not think that the temperature will come up faster if the heat is higher! And do not think that you can leave it alone without stirring. All that will lead to your mixture curdling. 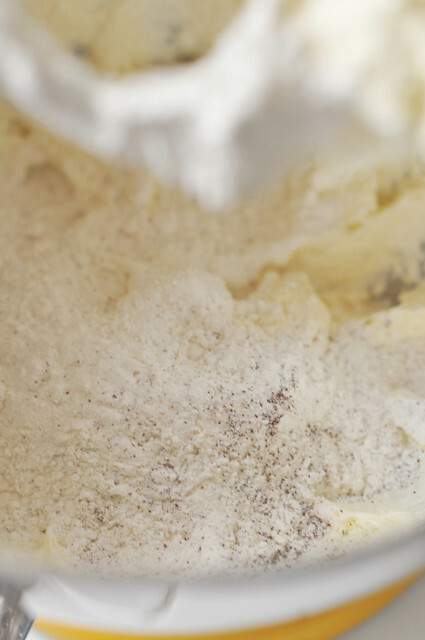 Once it reaches 160° return to the food processor and add the rest of the ingredients. 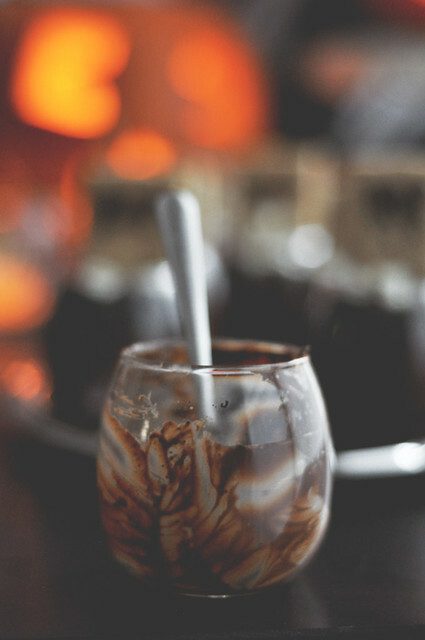 Remember earlier when I said that coffee and chocolate go so well together? Well this is no exception. 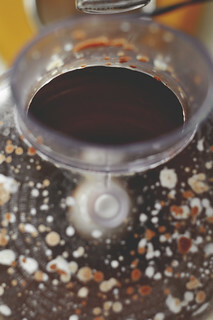 Add a bit of coffee liqueur. Such as Kahlua. Boom. We just took this dessert to another level. I don’t have kids. I don’t feel weird about it, and I don’t like regular ol’ coffee, so I’m using the liqueur. And a bit of sugar. Put a lid on it and whirl away. Turn on the machine. Pulse it up. Make sure you stop it at some point to scrape down the sides and bottom of the bowl. Just to make sure everything gets combined well. Place the lid back on and let it mix for a minute or two longer. 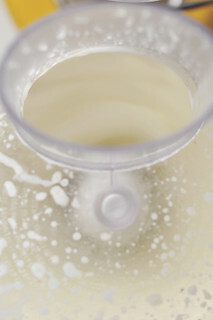 It will be thick and luscious and inviting and aromatic. Fight the temptation to eat it at this point. Okay, you do have to do quality control. What if it tastes awful? You don’t want your guests to eat it if it tastes bad. So I think you should try it. Give it a little try, you know to make sure everything is good. That’s enough. Stop eating it! Control yourself! 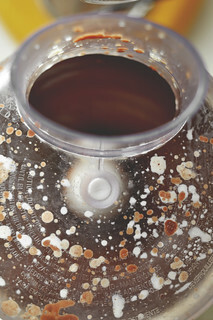 Transfer the mixture to a measuring glass or something with a spout, to make pouring easier. 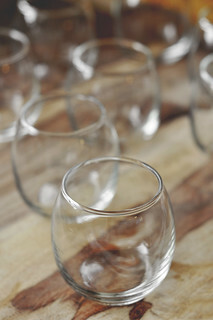 Pour them into individual glass cups. Or ramekins. Okay, we’re done….for right now. These are ready to hit the fridge to chill. If you are going to be enjoying these soon, you don’t have to worry about covering them. However, if you are planning to eat them later on in the day or the next day, for that matter, then you’ll need to cover them with plastic wrap. They need to chill for a few hours. 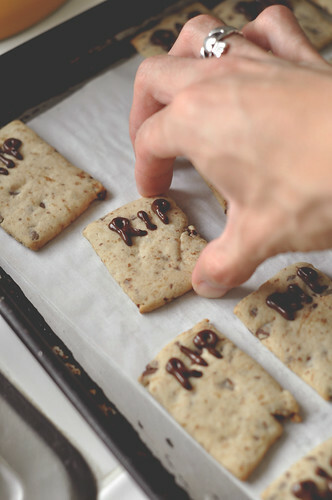 As they chill let’s finish our tombstone cookies. Did you forget about those? I sure didn’t. Work with one disc at a time. 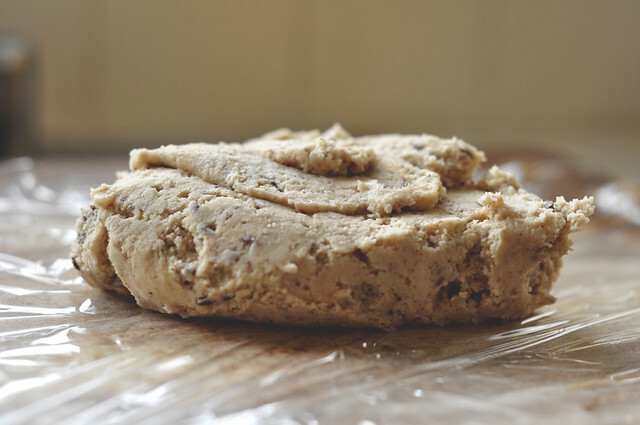 Roll out the dough to about 1/8 of an inch thick. Roll it out into a rough rectangle. It doesn’t have to be perfect. You can trim off the edges if you want to make these look perfect. And then cut them into tombstone shapes, which is just small rectangles. Don’t worry about cutting these perfect and precise. You want them to look rustic and different than each other. 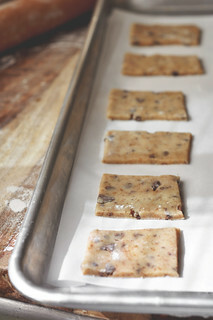 Cut and place them on a baking sheet lined with parchment paper. 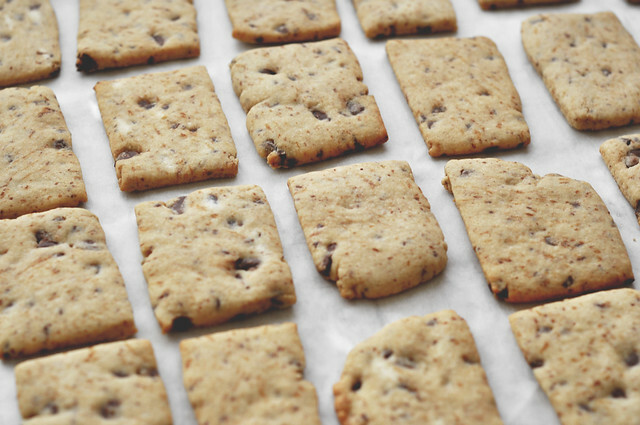 You do not have to worry about leaving a ton of space in between each cookie, as shortbread doesn’t really spread. 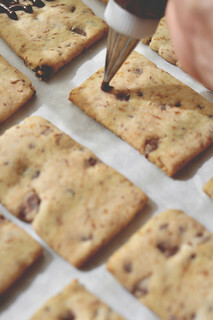 Bake these in a preheated 350° oven for about 8-10 minutes or until golden brown on the edges. 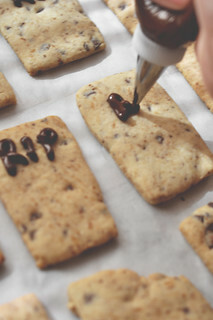 Place the tray on a cooling rack and allow the cookies to cool completely before proceeding to the decorating. I melted white chocolate. I just nuked it in the microwave in 10 second intervals, mixing after each, until it melted completely and was smooth. 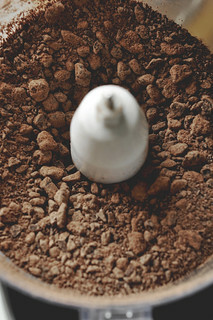 Then I put the chocolate into a small piping bag, fitted with a plain circle tip. 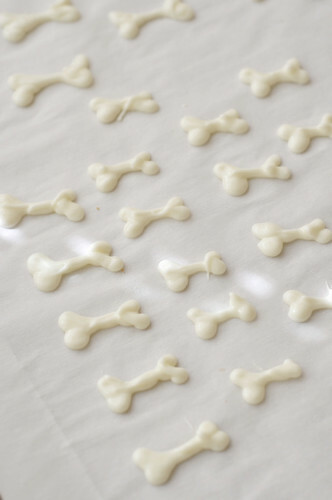 On a baking sheet, lined with parchment paper, I piped out bones. That’s it. Super easy. You have bones. Place the tray in the freezer to allow the bones to harden. 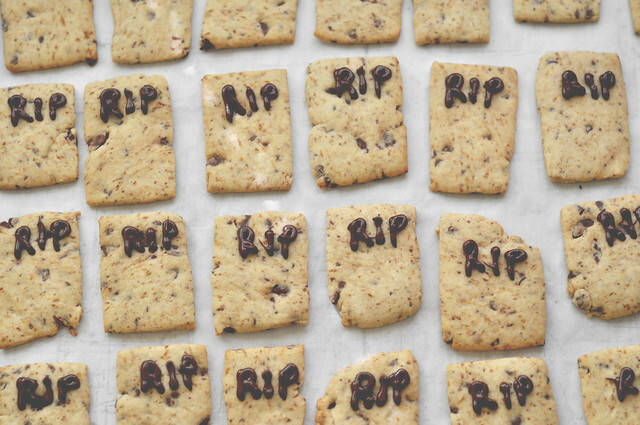 Okay, let’s finish the tombstone cookies. This is also really simple. 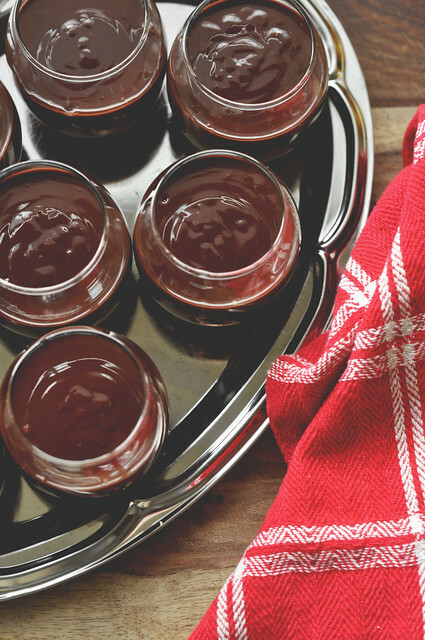 Melt semi-sweet chocolate in a small bowl, in the same manner as the white chocolate. Place it in a small piping bag, fitted with a small plain circle tip. Pot de crème is in the fridge chilling. Oh that’s right, the dirt. No not the dirt from outside. We can’t eat that. 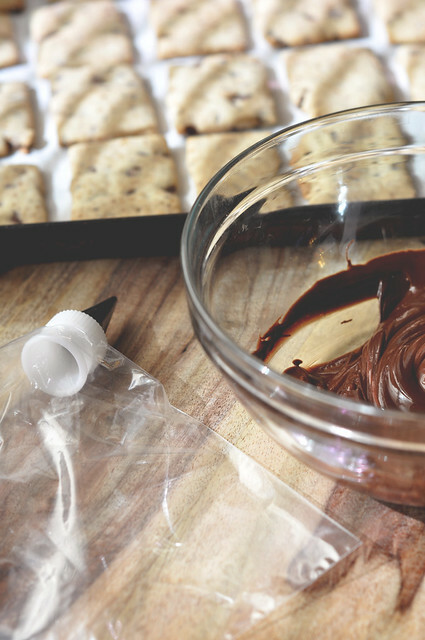 Drop in a few chocolate sandwich cookies, or chocolate graham crackers into a food processor bowl. 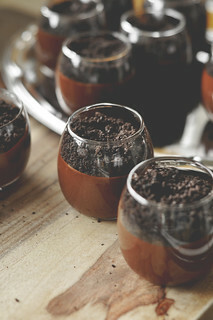 Remove the pot de crème cups from the fridge and spoon in the dirt on top. Look at those little graveyards. Place the tombstones into the dirt. Garnish with the chocolate bones, and you’re done. Finished. If you are making these ahead of time, you can top the pots de crème with the dirt and the bones and refrigerate. 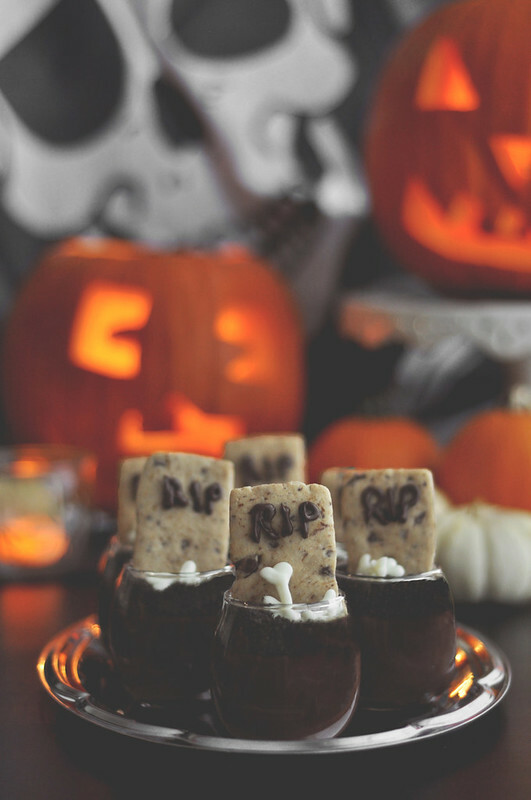 Then when you are ready to serve and eat, place in the tombstone cookie and allow the pots de crème to slightly come to room temperature. Devour. They are so tiny you are allowed to have two. Go ahead, I won’t tell anyone. You’ll definitely have more tombstone cookies than pot de crème to top. But do not worry about such things. I’m sure you’ll be able to find something to do with those extra shortbread cookies. They are tasty with ice cream. 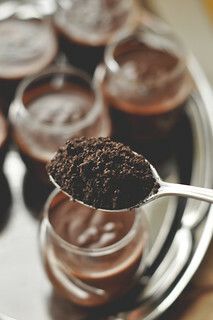 Tasty with coffee. Tasty in the morning. Tasty at night. You’ll eat them. If you are still looking for Halloween treat ideas, well look no further. You just found the perfect one. 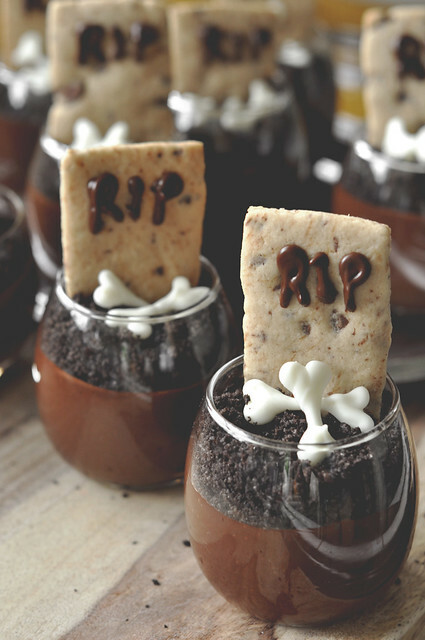 People will not be able to resist these graveyard pots de crème. 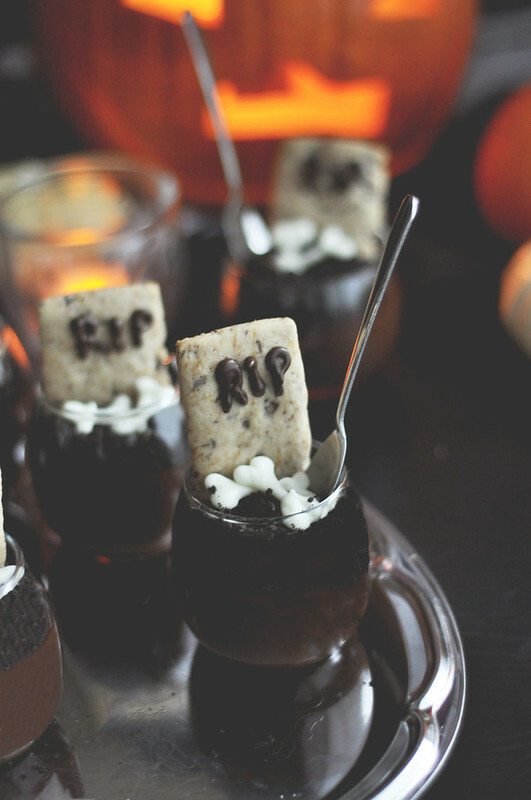 They are perfect for a Halloween themed party or dinner. 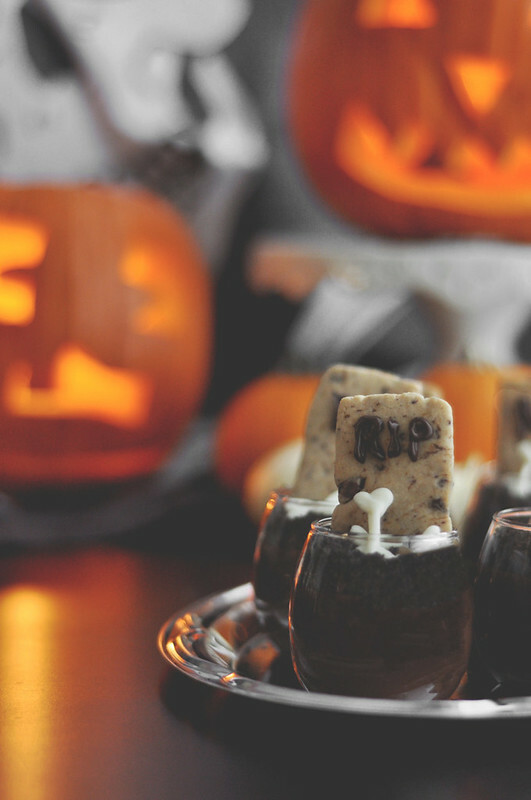 Best part of the recipe is that even after Halloween is over and done with you can still make these. Ditch the dirt and bones. Cut the tombstones into circles instead and omit the RIP. Boom. 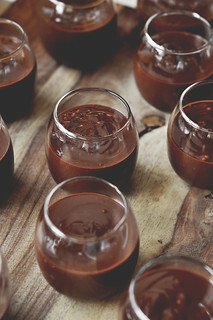 You have an elegant chocolate dessert for fancy dinner parties. Look at us, we’re being versatile. Taken and adapted from Sunset Magazine. 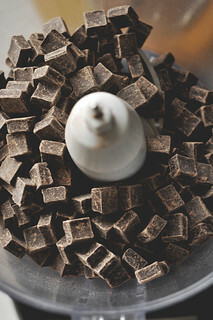 In a food processor or blender, pulse chocolate until finely chopped. Pour into a bowl. 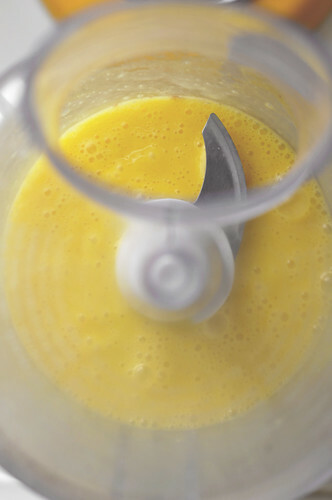 Put eggs and yolks in the processor or blender. Pulse until the eggs and yolks are blended. 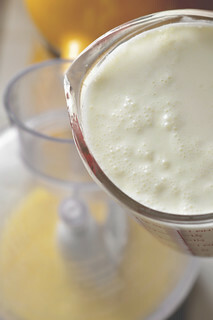 In a small sauce pot, over low-medium heat, bring the whipping cream to a small boil, about 3 to 5 minutes. 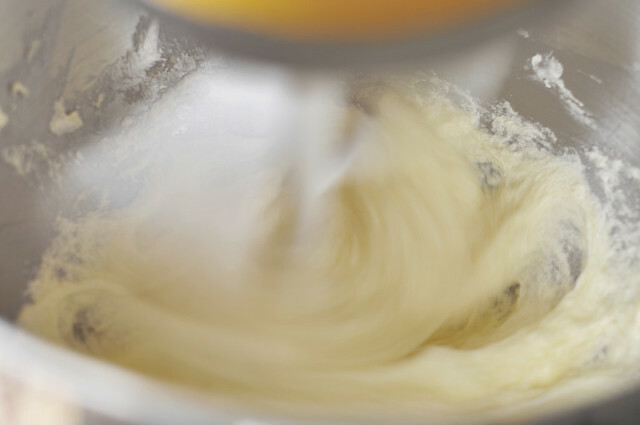 With processor or blender on high speed, add boiling cream to eggs, in a slow and steady stream to make sure the eggs do not scramble. 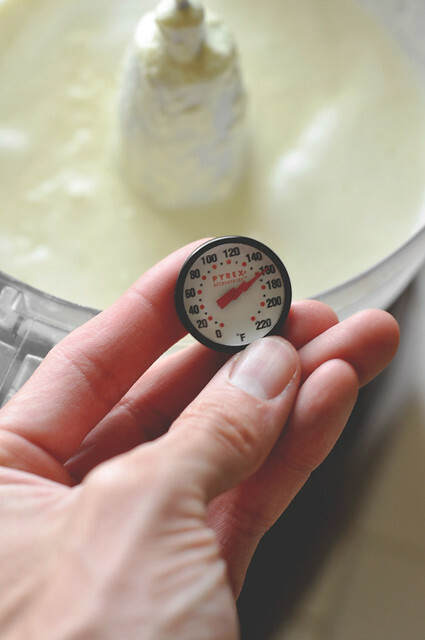 Check temperature of mixture with an instant-read thermometer; if below 160°, pour mixture back into the sauce pot and reheat over LOW heat, whisking the entire time, until it reaches 160°, stirring and checking constantly. 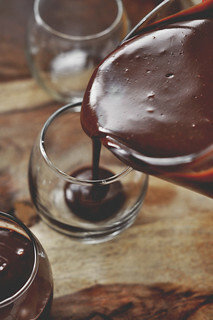 Combine hot cream mixture, chopped chocolate, sugar and liqueur in blender or processor (or whisk the ingredients together in a large bowl); pulse until smooth, about 1 minute. 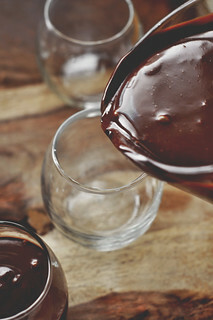 Pour chocolate mixture into 8 ramekins or glasses. Chill until softly set, 30 to 45 minutes. If making ahead, cover and chill overnight. 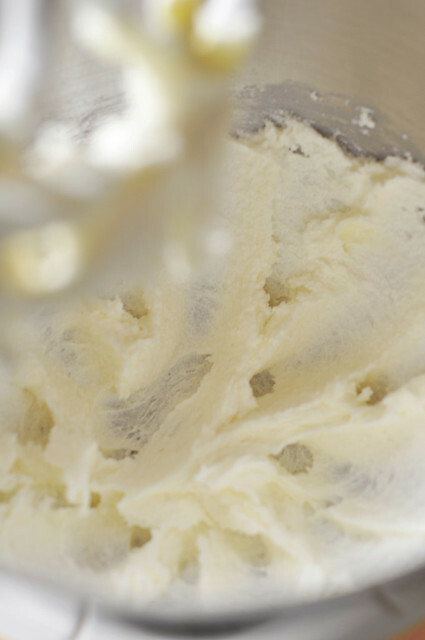 For creamiest texture, let desserts stand at room temperature about 30 minutes before eating. Spoon 1 tbsp. chocolate sandwich cookie crumbs onto each pot de crème. 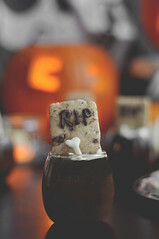 Insert a Tombstone Cookie into each serving and garnish with white chocolate bones. * Enjoy. 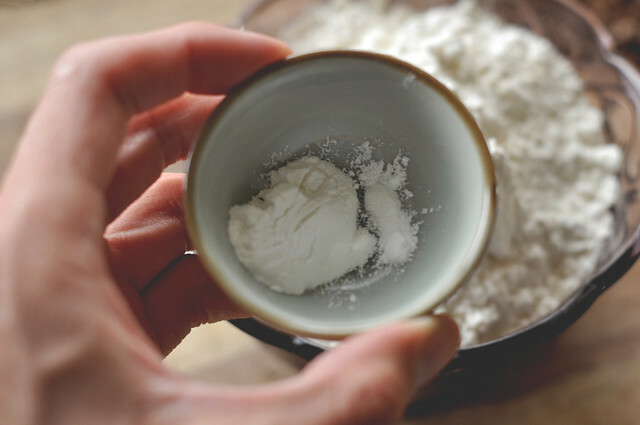 *To make white chocolate bones, place about 1/2 cup white chocolate in a small microwave safe bowl. Nuke in the microwave in 15 second intervals, mixing after each until it is all melted and smooth. 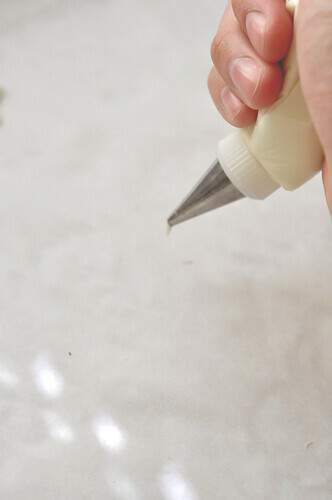 Pour the chocolate into a small piping bag, fitted with a small plain circle decorating tip. Line a baking sheet with parchment paper and pipe out the bones. Place the baking sheet in the fridge and allow the bones to harden. 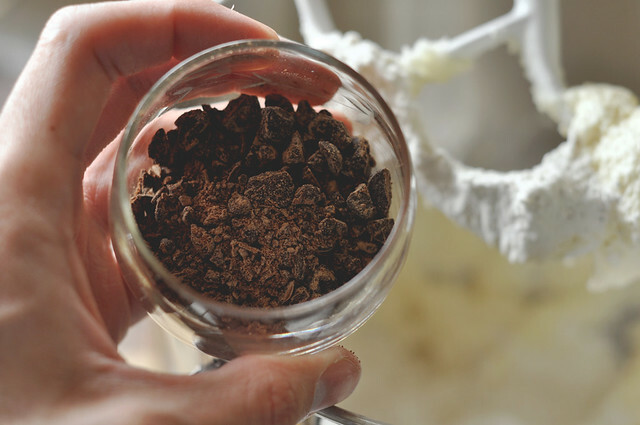 2 tablespoons finely chopped chocolate, semi-sweet or bittersweet. Preheat oven to 350°. 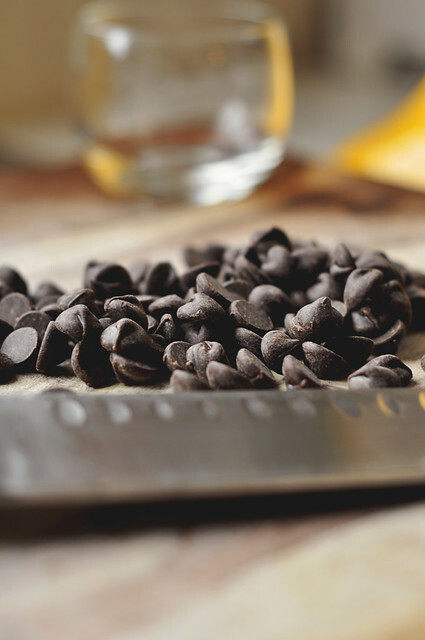 Chop the chocolate until it resembles course crumbs about the size of rice. 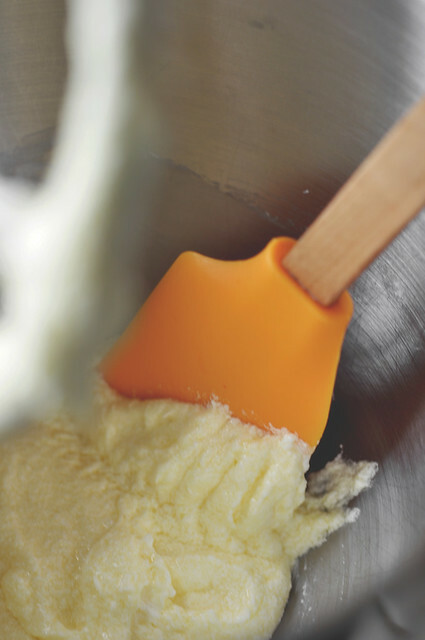 In the large bowl of an electric mixer, beat butter and 1/2 cup sugar until creamy; beat in egg and vanilla. 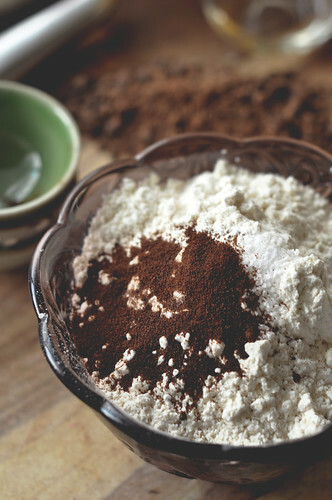 In another bowl, whisk together flour, espresso powder, baking powder, salt, and cocoa nibs; gradually add to butter mixture, blending thoroughly, to form a soft dough. 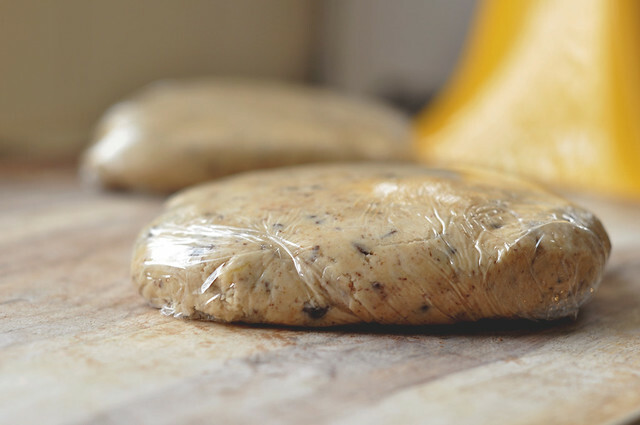 Divide dough in half, cover each portion tightly with plastic wrap, and refrigerate until firm (at least 1 hour), or up to 3 days. 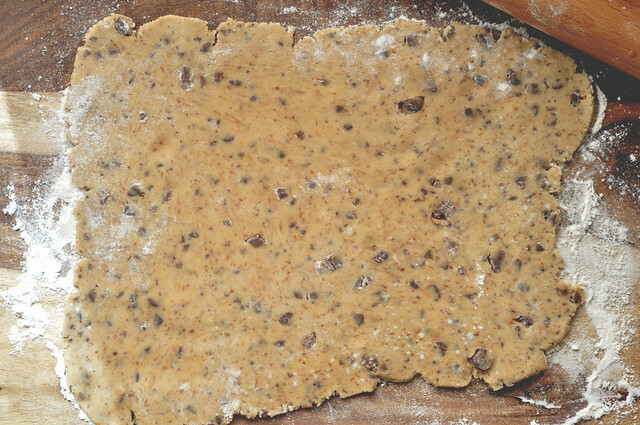 On a floured board, roll out dough, a portion at a time, to a thickness of 1/8 in. 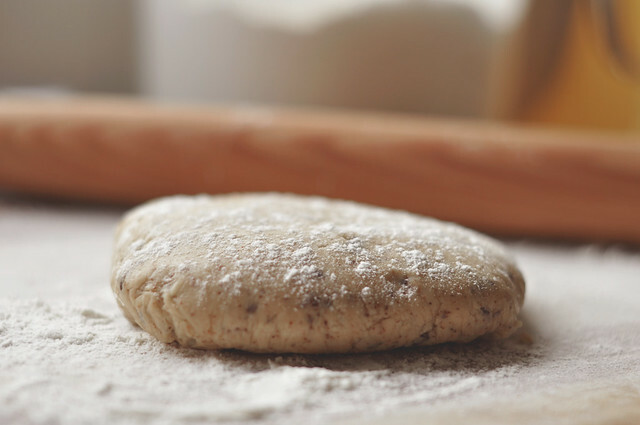 (keep dough refrigerated when not in use). With a sharp knife, cut out free-form tombstone shapes, and place slightly apart on baking sheets that have been lined with parchment paper. 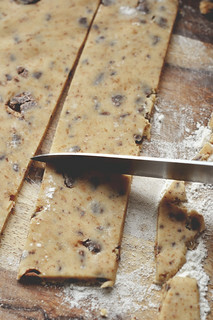 Bake cookies until edges are lightly browned, about 8 to 10 minutes. Transfer to racks and let cool completely before handling. 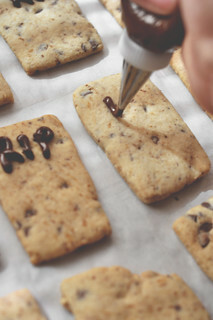 Using a pastry bag with a very fine tip, pipe the letters “RIP” in chocolate on each cookie. 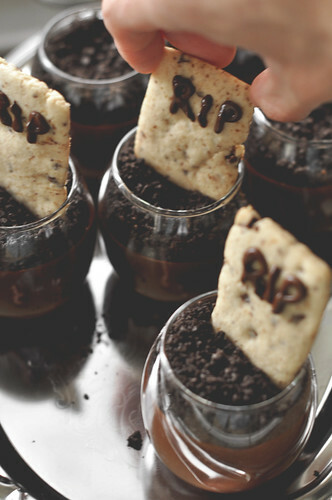 Stick the tombstone cookies into the Dark Chocolate Pots de Crème and serve the rest of the cookies alongside. 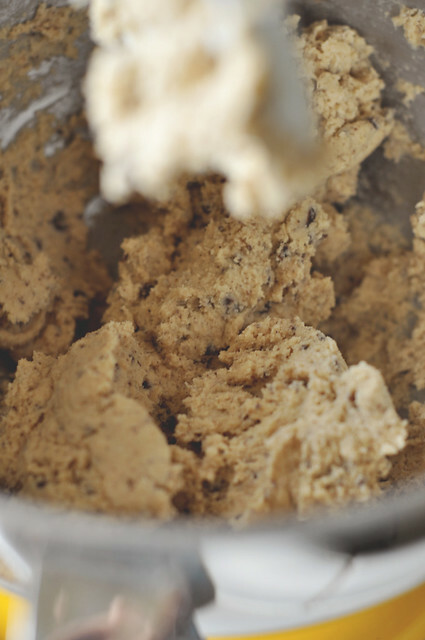 Store any leftover cookies in an airtight container. Enjoy. Hahah! Thank you! Much love all around xoxo. Oh my..They are so cute. I tried Spiderman Cupcakes for this Halloween.I wish I had seen yours first. I am definitely making this for next Halloween.Great job 🙂 I am your newest fan and I really like the fact that you put so much effort to share the recipe with us.I really appreciate it Jonathan 🙂 Keep up the good work. This is actually more of a pudding so it won’t be ideal for a topping for a cake. 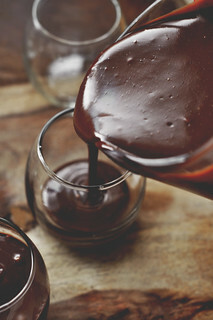 I recommend heating heavy cream and pouring it over chopped chocolate (of your choice) and making a simple ganache like that!